Amanda and Larin were best friends in high school. After spending some time apart, they reconnected, spent all of their time together, and just naturally fell into a relationship. A few year later, on a trip to Mexico, Larin popped the question one morning on the balcony of their hotel room. Amanda, after she calmed down, told him “of course.” They spent the rest of the day celebrating with family and friends on the beach. I have the craziest story about my connection to Amanda and Larin. They inquired, we hung out over coffee and got to know each other – nothing out of the ordinary. A while later, Amanda was showing her grandparents my website. Her grandma recognized me from my photo. Turns out her grandparents were best friends with my grandparents for 40 years! Of course we didn’t make the connection at the time, but we both have childhood memories of hanging out with each other’s grandparents. Also, my mom used to babysit her mom! My grandma and grandpa are no longer with us but I know they would just love this crazy story. I can’t wait to reconnect with hers again at the wedding. 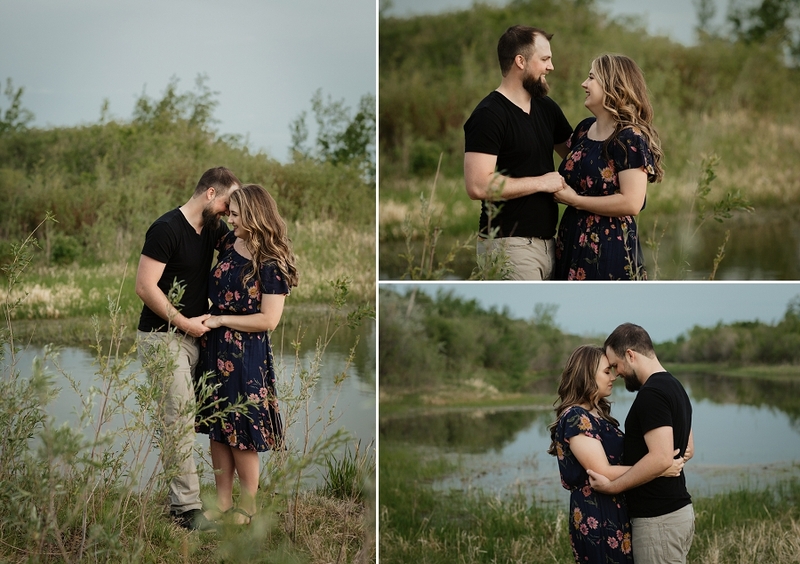 We spent beautiful spring evening exploring Cranberry Flats for Amanda and Larin’s Saskatoon engagement photos. 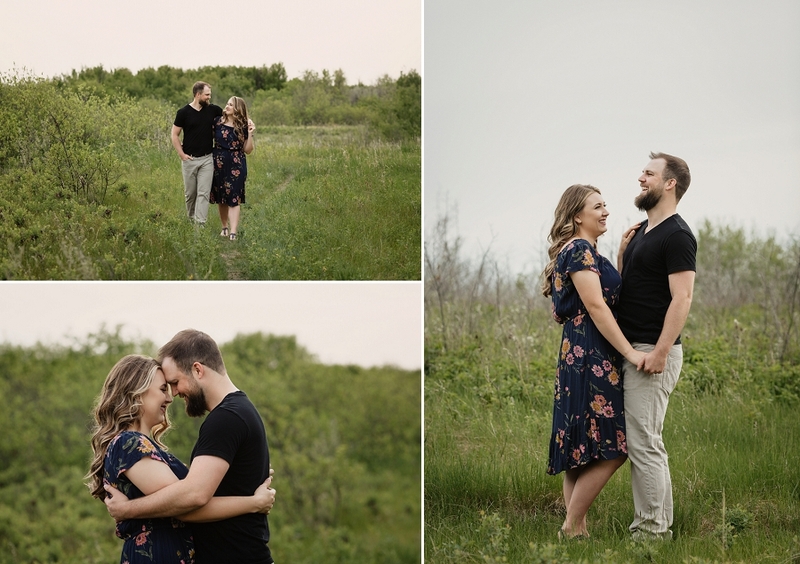 Their intimate acreage wedding in August is going to be a laid-back day complete with a BBQ, yard games, a bonfire with s’mores, and dancing the night away under the stars. Saskatoon engagement photos by Copperblue Photography and Design. Saskatoon wedding photographer specializing in rural, lake, outdoor, tent, farm and acreage weddings and elopements in central and northern Saskatchewan. Serving Prince Albert, Waskesiu, Candle Lake, Humboldt, Rosetown, Outlook, Blackstrap Lake and surrounding areas. Thanks Sheri! I agree, her dress was so cute! this is such a loving session! really nice! Thank so much Allie! I was feeling the love! These are amazing! I love the ones in the white floral field! Thank you Mandi! Such a pretty location! Thanks Jenn! 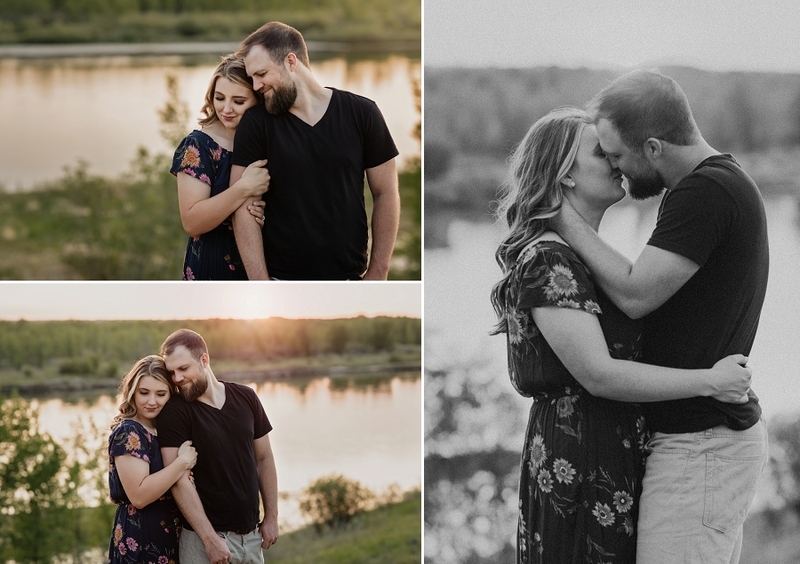 Such a crazy story, and Cranberry Flats is always such a beautiful place for engagement photos! beautiful photos. What a cool story that your grandparents were friends! Thank you! It was such a crazy coincidence! I love the close ups, so intimate and sweet! What an adorable couple and I love all of these!!!! Gorgeous! Thanks Diane! 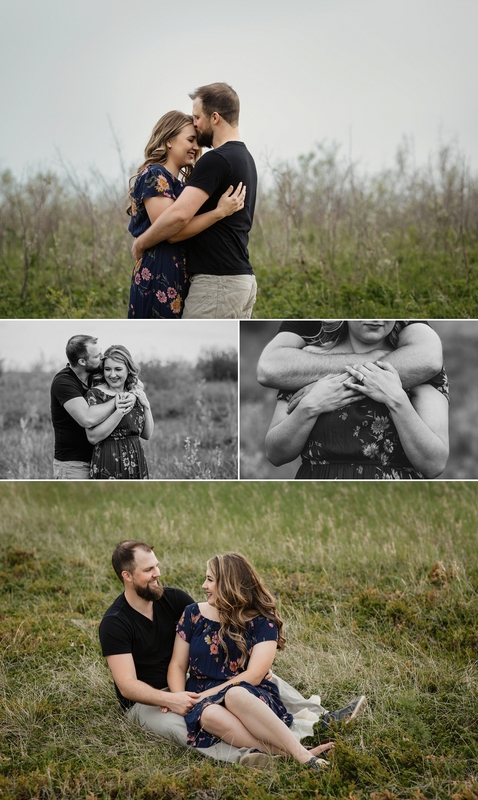 They are the sweetest, can’t wait to share their backyard wedding!